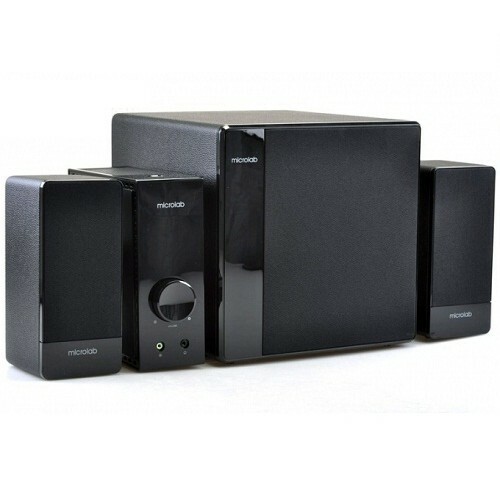 5.1 speakers system with powerful amplifier for turning your TV into your own home theater. Enjoy movie audio effects from the comfort of your own home with 5 satellites and a subwoofer. This system places these satellites around your room and creates a dynamic surround effects with your movie sound production. Designed with individual amplifier to isolate noise and minimize distortions. Listen to clear powerful sound effects. Connects to your TV, CD/DVD, Mp3/Mp4 player or even your mobile phones. Comes with remote control for convenience. 6.5" woofer system for deep vocal and bass effects.